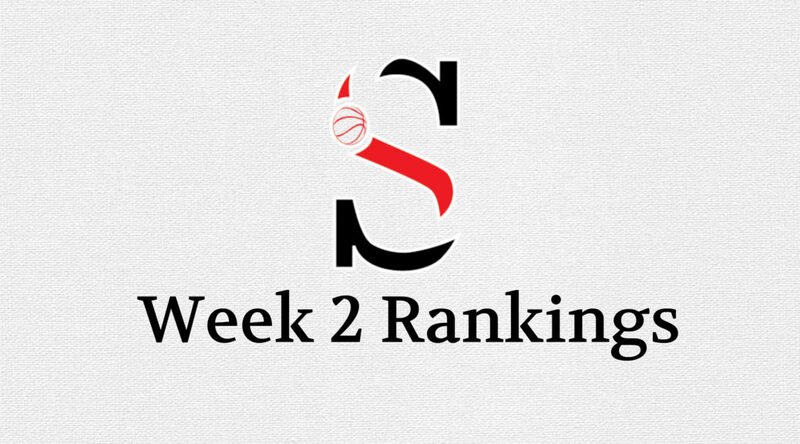 The weekly state rankings podcast is back. With 2+ weeks of basketball already in the books, it’s time to catch up with all the movers and shakers in the rankings. Peach State Stops of the Week will highlight some of the best basketball being played in Georgia for the current week. 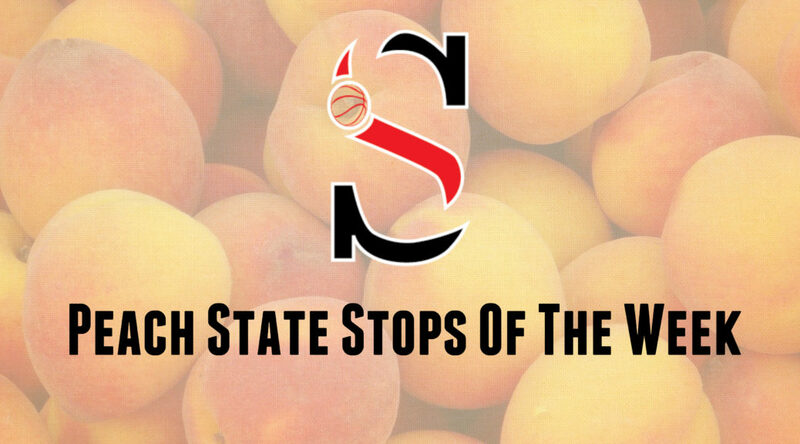 Whether it’s a tournament/showcase, a region rivalry, a Top 10 showdown, or a seldom heard sleeper, Peach State Stops of the Week will let you know what gym you need to get into. 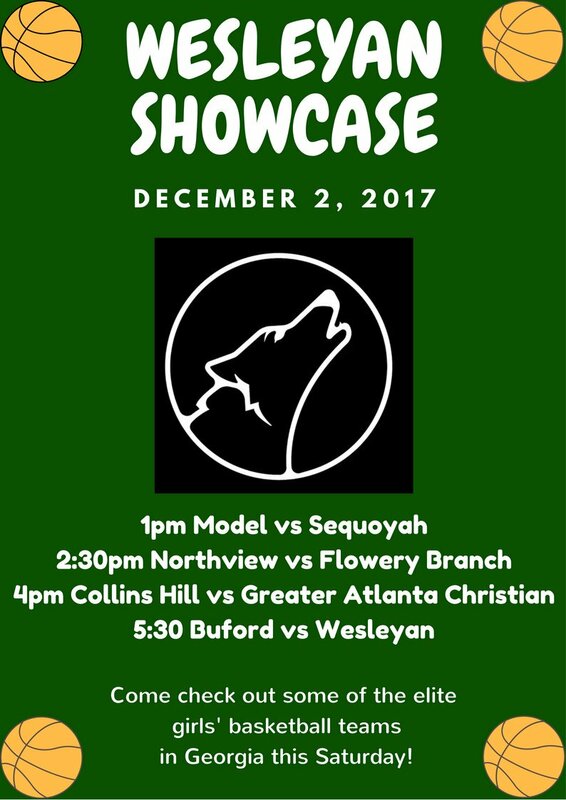 Eight state-ranked teams head to Norcross, GA this Saturday for the Wesleyan Showcase. 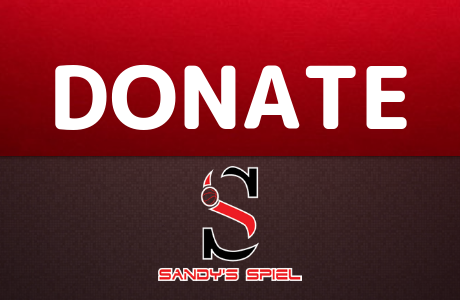 If you’re searching for elite level girls basketball, look no further. Future D-1 players litter the floor. The guard-heavy Lady Chiefs will have to slow down South Carolina-signee Victaria Saxton of Model. The 6-foot-1 post is an elite rebounder and shot blocker and a gazelle in the open floor. She has carried the Blue Devil program since her freshman season. The double-double machine will have a major size advantage against the Lady Chiefs, but Sequoyah will throw an experienced backcourt that knows how to win back at Model. Alyssa Cagle is one of the state’s best unsigned point guards, that has completely healed from last year’s ACL tear. Peyton Satterfield is the school’s single-game recorder holder for most three-pointers made and Colby Carden is a feisty scorer and defender. The Lady Titans of Northview took their lumps against Wesleyan at the Johns Creek Gladiator Showcase and now gets a chance to see if they are better for it as they meet North Georgia power, Flowery Branch. The Taniyah Worth (Alabama) vs. Ashlee Austin matchup might be one of the best in the event. Worth is a do-everything small forward that can carry the Lady Falcons while Austin is a physical stretch-four that plays with a mean streak. The supporting casts will be the deciding factor. Junior guard Caroline Wysocki has taken her game to the next level for Coach Courtney Gonzalez and gives Flowery Branch a reliable second scoring option next to Worth. Her and veteran Lexie Sengkhammee have seen the best of the best while at Flowery Branch. They matchup against Northview’s young and dynamic backcourt of sophomore point guard Asjah Inniss and freshman shooting guard Eden Sample, who is coming off a career-high 24 points. Inside, 6-foot-3 freshman Ashlee Locke locks horns with bruiser Maya Richards. Foul trouble has crippled the Lady Titans in big games in the past; if Inniss and Richards get tagged quickly, Flowery Branch might soar past them. This star-studded matchup features two teams with sky-high expectations that will consider their seasons a failure if they don’t win their respective state titles. Collins Hill’s Bria Harmon (Purdue), Javyn Nicholson (UGA), Jada Rice (NC State) and Jaron Stallworth (Mercer) go to war with GAC’s Robyn Benton (Auburn), Caria Reynolds (Hofstra), Taylor Sutton (MTSU) and MaryMartha Turner (Wofford). The Spartans have smoked everyone they’ve played, including beating Class 7A No. 4 Norcross (64-51), Class 5A No. 7 Southwest DeKalb (81-37) and four-time defending state champion Class 7A No. 3 McEachern (61-50). The Eagles haven’t quite played the schedule GAC has, with their best win coming over Class 7A No. 7 Cherokee (69-53) and losing to Class A-Private No. 1 Holy Innocents’ (64-57). With four D-1 players on each side going toe-to-toe, keep an eye on GAC junior point guard Kennedi Williams and Collins Hill three-point specialist junior Katherine Fourie to make shots when called upon. A true heavyweight showdown between a pack of Wolves. Wesleyan blew past Buford last year 73-50 at Buford; expect the Lady Wolves to play with a chip on their shoulder. Buford will have the size advantage with their powerful big guards led by 6-foot Michigan State-signee Tory Ozment. She creates with the ball in her hands and can get two feet in the paint whenever she wants. The Wolves like to drive behind drives which leads to layups or kick outs to open three-point shooters like Air Force-signee Audrey Weiner. Kya Styles and Tate Walter are threats to score the ball while 6-foot-3 post Jessica Nelson (UMass) is a space eater that can turn back shots. Nelson did not play in the Craig Sager Memorial Championship game last week. Wesleyan doesn’t have the size that Buford boasts, but the Wolves play fast and share the ball extremely well. Their press causes turnovers which lead to easy breakaways. Offensively, Amaya Register (Old Dominion) orchestrates the offense with elite ball movement. Sutton West (Furman) is a pesky long-armed 6-footer that rebounds, alters shots with her length and always seems to be at the right place at the right time. Nearly the entire roster is a threat from deep including playmaking freshman point guard Paige Lyons and physical yet deftly agile versatile post AC Carter. No. 4 Newton 81, Walnut Grove 42: Ashton Hagans recorded his third straight triple-double with 16 points, 10 rebounds and 13 assists. Tyrease Brown scored 23 points. Tre Clark put in 15 points while Juwan Johnson added 10 and Dre Butler posted 8 points. Walnut Grove was led by Ryan Landers’ 19 points, 8 rebounds and 3 assists. No. 7 Meadowcreek 63, Parkview 42: Jamir Chaplin went off for 27 points. Amari Kelly had 8 points, 10 rebounds and 3 blocks. Cory Hightower tallied 14 points and 6 rebounds. Ahmir Langlais collected 15 points, 8 rebounds and 2 blocks for the Panthers. Devrit Gros added 11 points. No. 8 Collins Hill 78, North Oconee 43: Justin Lee (22), Chris Parks (20) and Mandarius Dickerson (20) combined for 62 points. Jalen Behr scored 12 and Adam Weynand added 10 to lead the Titans. South Gwinnett 77, 6ANo. 2 Dacula 71: The Falcons sank to 1-3 as the Comets picked up possibly their biggest win under Head Coach Ty Anderson. Sophomore guard Zawdie Jackson scored 20 points while freshman Max Harris netted 15. Junior Shamar Brown pitched in 13 points for the young Comets. Rockdale County 87, 2ANo. 9 Therrell 83: Sayvon Traylor exploded for 37 points to lead the Bulldogs. Peachtree Ridge 58, Lanier 55: Florida State-signee Devin Vassell put in 22 points to help the Lions past the Longhorns. Caleb Holifield added 15. North Gwinnett 68, South Forsyth 57: Cam Rowland pumped in 30 points and 5 steals. Connor McCormick collected 13 points and 10 rebounds while Chandler Johnston had 8 points and 7 assists. Etowah 68, River Ridge 43: Jaxon Etter went for 16 points, 7 rebounds and 3 steals. Julian Baldwin collected 16 points and 11 rebounds while Adrian Cohen tallied 10 points and 5 rebounds. Jameel Ndiaye led the Knights with 12 points. Chris Williams and Kobe Braddock scored 10 and 7 points, respectively. Brookwood 69, Central Gwinnett 61: Justin Randle had 23 points followed by Taj Adams’ 20 and Chris Smalls’ 15 in the win. Hillgrove 65, Hiram 47: Dustin Ladson collected 21 points, 4 rebounds and 2 steals for the Hawks. Kennesaw Mountain 80, Sprayberry 69: Josh Strong buried 28 points to pace the Mustangs while Jalyn McCreary added 20. Perry Robinson scored 10. Tift County 58, Cook 34: Montae Terrell finished with 18 points and 7 assists while freshman JT Warren picked up 6 points and 12 rebounds. No. 3 Langston Hughes 78, No. 7 Douglas County 43: Landers Nolley scored 24 points in the Region 5 win. Tyler Smith posted 19 points and Tyrel Morgan scored 16. No. 9 Tucker 61, Drew 51: Nick Watson scored 17 points. Jevon Tatum and Nate Ogbu had 12 apiece for the Tigers. No. 10 Brunswick 72, No. 4 Coffee 60: With a few players still on the football field, the Pirates took advantage of the Trojans and scored a big-time non-region win. Marcus Scott scored 22 points and added 7 rebounds and 6 assists. Daquan Humphreys pitched in 18 points and 6 rebounds. Preseason All-State First-Teamer Jayce Moore opened up his junior season by pouring in 39 points for the Trojans. Allatoona 70, Sequoyah 56: Without their two top leading scorers, the Buccaneers gutted out a win against a feisty young Chiefs team. Rolan Wooden and Chris Lanier scored 12 apiece off the bench. Terrell Ard added 11 points and 7 rebounds. Jackson Greco led the Chiefs with 17 points while Donovan Shipp chipped in 9. Alpharetta 62, Dunwoody 50: Ryan Jenei scored 21 points while Brandon Barron dropped in 18. Creekview 71, Osborne 50: KJ Jenkins had 22 points in the win. Jack Wood and James Wall chipped in 12 apiece. South Paulding 61, Northgate 41: The Spartans raced past the Vikings behind Cam Armstrong’s 24 points and Tank Withers’ 13 points, 7 rebounds and 4 steals. Shane Gibson tacked on 8 rebounds and 6 assists. Glynn Academy 73, Camden County 62: Syron Noyes netted 26 points while Santana Young chipped in 21 points for the Terrors. Carieon Robbins had 15 points. Stephenson 60, Mundy’s Mill 39: Bryce Lattimer scored 16 points to lead the Jaguars past Mundy’s Mill. Jordan Black led the Tigers with 11 points. Cambridge 63, Chattahoochee 57: Kamar Robertson led the Bears with 21 points. Bryce Boutelle scored 12 points and Noah Lucas had 9. Kyler Ingram and David Banks chipped in 8 apiece. Apalachee 83, Loganville 65: Brandon Bannis had 16 points and 6 assists over the rival Red Devils. Derek Miller scored 15 points and grabbed 5 rebounds. Deron Collier finished with 15 points and 6 rebounds while Jamonte Wallace tallied 14 points and 7 assists. In the loss Jamar Moore had 22 points, 12 rebounds, 3 steals and 3 blocks. South Cobb 64, Harrison 54: The Hoyas got 14 points from Michael Wilson and 12 from Jonathan Gernatt in the loss. Lovejoy 44, Mt. Zion-Jonesboro 39: Omari Callahan scored 16 points followed by Fernandes Watson’s 11. Kell 51, Lassiter 42: Jahwan Smith led the Longhorns with 19 points, 4 rebounds and 6 steals. Blake Simpson scored 15 points and grabbed 6 rebounds. Justin Perry chipped in 11 points, 4 rebounds, 3 assists and 3 steals. No. 1 Warner Robins 89, 3ANo. 5 Westside-Macon 63: The dynamic duo of Nelson Phillips (36) and Jacolbey Owens (32) was too much for Khavon Moore and the Seminoles. Moore finished with 34 points, 9 rebounds, 4 assists and 4 blocks in the loss. Greg Holloway chipped in 18 and Omar Jones scored 11. No. 4 Southwest DeKalb 70, Clarkston 60: KD Johnson continued his hot start with 24 points, 5 assists and 4 steals. Eugene Brown III added 15 points, 10 rebounds, 3 assists, 3 steals and 2 blocks. James Glisson III had 14 points, 6 rebounds, 2 steals and 3 blocks. Myles Love contributed 13 points. No. 5 Miller Grove 71, Chamblee 54: TJ Stargell had 6 points, 4 rebounds, 12 assists and 3 steals to orchestrate a Wolverine win. No. 6 Eagle’s Landing 49, Union Grove 33: Tarrence Evans scored a game-high 17 points. No. 8 Columbia 79, Arabia Mountain 68: Josh Taylor had 21 points and 12 rebounds for the Eagles. Lorenzo McGhee added 24 points and 9 boards. Jaelin Simpson scored 15 points for the Rams. N’Kyzie Hawkins had 14 and Jordan Sterling scored 9. Starr’s Mill 64, Heard County 12: Drew Hudson finished with 21 points for the Panthers in the blowout. Chase Sands scored 14. Flowery Branch 62, Winder-Barrow 45: Myles Janess collected a double-double with 14 points and 10 rebounds. Patsheko Lutumba scored 17 to pace the Falcons. Justin Quick netted 11 points and Blake Coxworth chipped in with 9 points and 5 rebounds. Wayne County 72, Toombs County 38: Shamar Taylor double-doubled with 15 points and 12 rebounds. DeVonte Andrews added 12 points and 8 rebounds. Anthony Grant had 11 points and 13 rebounds while Justin Hines collected 11 points and 6 rebounds. Lithia Springs 53, Carver-Atlanta 42: Freshman post Omarion Smith finished with 17 points to power the Lions to a 5-0 start. Anthony Hardy had 14 points and Terrence Ashford scored 10. Jalen Morgan led Carver with 11. Johnson-Gainesville 78, Chestatee 63: Chandler Jones dropped in 21 points for the Knights. Alex Sims had 17 and Will Richter netted 14. Paulding County 75, Mt. Paran 45: Tyron Summerour scored 16 points. Jalen Sowells had 11 points and 7 rebounds while KJ Shade tossed in 10 points. Stockbridge 81, Ola 45: Georgia State-signee Kavonte Ivery led the way with 17 points for the Tigers. Davian Johnson (13), Elijah Austell (12), Ocean Scott (10) and Kalean Hinton (10) all cracked double figures. Villa Rica 73, Chapel Hill 53: Latrell Swanigan went for 30 points in the win. Elijah Fluker scored 12 and Javonte Hart collected 10 points and 9 assists. No. 1 Upson-Lee 91, Pike County 28: MTSU-signee Tye Fagan sat out his first high school game, but the Runnin’ Knights still steamrolled Pike County. Zyrice Scott scored 29 points and Cameron Traylor knocked in 25. No. 3 Sandy Creek 72, Riverdale 47: Julian Alexander finished with 14 points, 4 rebounds, 2 assists and 2 steals while Xavier Brewer had 14 points and 3 rebounds. Jarred Godfrey produced 14 points, 4 assists, 3 steals and 2 blocks. TJ Bickerstaff had 8 points, 6 rebounds and 3 assists. Kam Miller tallied 6 points, 3 rebounds, 3 assists and 3 steals. No. 6 Mary Persons 66, Northside-Warner Robins 55: Cam Holden poured in 36 points, 15 rebounds and 4 steals. Dee Morton added 10 points and 3 rebounds. Tre Edge posted 10 points and 7 rebounds. Rekia Weaver went for 6 points, 4 rebounds and 6 blocks. No. 8 Stephens County 84, Franklin County 76: Tae Thornton scored 20 and Ty Nails had 19 points in the balanced attack. Chaz Bridges collected 16 points and 13 rebounds while DeUndra Singleton notched 15 points and 12 boards. In the loss, Zach Gay scored 19 points. Sophomores Titus Brown (12), Micah Roebuck (11) and Titlan Wells (10) combined for 33 points. Blessed Trinity 50, Fellowship Christian 45: Ben Shappard scored 17 points and Will Marin added 10 in the win. The Paladins got 13 points from freshman guard Jayce Harrison and 11 from Teddy Keim. Cody Frazier netted 10. Lafayette 66, Pickens 30: Alex Kelehear went for 26 points and John Morgan had 22 in the rout. Seth Bishop had 9 points and 3 rebounds in the loss. Keinyuan Hooks finished with 5 points, 2 rebounds, 4 assists and 4 steals. Zach Goss added 4 points. Troup County 71, Newnan 65: Jay Jefferson erupted for 37 points and 6 assists. Kobe Hudson had 13 points and Tristan Ware added 8. Thomson 70, Washington-Wilkes 50: Aubrey Ivery dropped 25 points and Quay Jackson scored 18. Henry County 58, Fayette County 54: DeAndre Rice (14) and Casey Armour (12) led the Warhawks to a momentum building victory. Wisdom Uboh tallied 10 points, 10 rebounds and 7 assists. Josh Dupree led the Tigers with 16 points, 5 rebounds and 3 steals. Ricky Knight Jr. added 12 points and 4 assists while Terrell Bradley contributed 11 points, 6 rebounds and 3 assists. Jefferson 60, Habersham Central 41: Jasper Gibson (15) and Daniel Parker (13) combined for 28 points in the Dragon win. Woodward Academy 68, Eastside 43: Spencer Felix scored 17 points while Walker Kessler double-doubled with 12 points, 11 rebounds and 2 blocks to get the War Eagles into the win column. Michael Whitmore finished with 10 points, 5 rebounds, 10 assists and 6 steals. Kevin Powell collected 9 points and 7 rebounds while DJ Gibson chipped in 8 points. No. 4 Cedar Grove 56, Lovett 46: Jamari Dean double-doubled with 17 points, 16 rebounds and 2 blocks. Kanaris Cummings posted 17 points, 12 rebounds and 3 steals for the Saints. East Jackson 45, Athens Christian 33: The Eagles remained perfect behind Tay Howard’s 15 points and Jace Bonds’ 10. Athens Christian was led by Jarrett Boyd’s 12. Sonoraville 89, Armuchee 62: Wil Walraven’s offensive onslaught continued with 29 points Landon Jones scored 15 and Lucas Brooks added 14. Walraven, a 6-foot-2 senior guard, is currently averaging 33.3 points through three games. Union County 73, Rabun County 52: Pierson Allison scored a game-high 20 points while Crawford Colwell added 15 in the win. Grayson Lane netted 15 points in the loss. Redan 79, Stone Mountain 38: Freshman Javen Smith finished with 18 points and 4 assists. Juniors Siah Gray and Jordan Davis scored 15 apiece. Senior Tez Glover collected 14 points and 15 rebounds. No. 1 Glenn Hills 66, Midland Valley, SC 53: The Spartans pulled away late from Midland Valley. Tim Williamson had 19 points while Timmy Sellers and John “Tre” Whitehead scored 12 apiece. Isaiah Bauman added 11. Anthoney Ray led the Mustangs with 20 points. No. 3 Dublin 92, Twiggs County 76: Kameron Pauldo busted out with 28 points while Torian Holder added 21, powering the backcourt. Clarence Jackson posted 14 points and 11 rebounds. No. 4 Thomasville 78, 4ANo. 9 Westover 71: The Patriots fell to the Bulldogs for the second time this year. Kris Gardner had 20 points and 4 assists in the loss. Jordan Brown added 16 points and 3 steals while Camryn Weston double-doubled with 15 points and 10 assists. No. 5 South Atlanta 69, Hapeville Charter 67: Dondre Barnes went for 26 points to help South Atlanta survive. Coach Keydrick Barlow’s team almost stunned the Hornets. Jemaure Ezzard banged in 34 points while Davin Quinones had 12 and Marquez Crews scored 9 in the loss. Dodge County 71, Telfair County 54: Nick Cummings popped for 28 points. DeMarcus Caine added 19 and RJ Carr scored 13. Noah Wilcox added 8 and Tony Baldwin had 5 points. Social Circle 59, Bethlehem Christian 56: Antonio Dorsey piled in 28 points followed by Chief Jennings’ 18 in the win. No. 1 St. Francis 83, No. 6 Lakeview Academy 56: Chase Ellis collected 22 points and 8 rebounds while CJ Riley had 16 points and 3 steals in the statement win. Dwon Odom tacked on 14 points and 10 assists while Sam Hines went for 13 points and 9 rebounds. Drew Cottrell led the Lions with 20 points and 8 rebounds while Adam Cottrell had 15 points. The Knights pulled away after leading 32-28 at the half and 57-49 at the end of three. No. 3 ELCA 63, Paideia 28: Trevon Reddish collected 15 points, 3 rebounds, 6 assists and 2 blocks. Malachi Rhodes posted 11 points, 10 rebounds and 4 blocks while battling foul trouble. Jamaine Mann finished with 9 points, 8 rebounds and 3 blocks. Kamari Smith had 9 points and 5 assists while Mekhi Cameron tallied 10 points and 3 rebounds. No. 9 Mt. Pisgah 73, Mt. Vernon Presbyterian 58: Quinn Richey dropped in 24 points and Chandler Minton had 17 to pace the Patriots. Jabiri Smith pitched in 11. Tahj Keeton finished with 17 points and 7 rebounds for the Mustangs in the loss. Marques Frye had 15 points and 5 assists while Cam Bennett tagged on 9 points and 6 rebounds. Morgan Mulrain had 6 points and 3 assists in the loss. Galloway 78, Brandon Hall 65: The Scots advanced to 3-0 thanks to Connor Hay’s 20 points and Will Winn’s 18. Wyatt Duncan tagged on 14. Walker 77, Providence Christian 49: Burke Chebuhar pumped in 23 points to lead the Wolverines. Chandler Baker (16), Omar Cooper (12) and Lake Boyer (11) all cracked double digits. Al Dorsey hit five threes to finish with 15 points for the Storm. No. 9 Woodville-Tompkins 72, No. 4 Treutlen 65: The Wolverines announced their presence to the rest of Class A-Public, handing Treutlen their first region loss since February 8, 2013, snapping a streak of 42 consecutive wins. Preston Crisp and Charleston Willingham scored 20 apiece while Deante Green added 10 points. Bowdon 50, Bremen 36: Zach Ledbetter led the Red Devils with 17 points. Chris Parker double-doubled with 13 points and 10 rebounds. Trajan Brown chipped in 6 points and 14 rebounds. Webster County 53, St. Anne-Pacelli 44: Sophomore Keandre Campbell pumped in 25 points for Webster County while Demarcus Hardy added 15. In the loss the Vikings received 15 points and 15 rebounds from freshman Ian Matthews. No. 7 Cherokee 58, North Cobb 44: Laiken Wade finished with 14 points, 3 rebounds and 3 assists as the Lady Warriors continued to roll. Lacie McCoy had 12 points and 7 rebounds while Olivia Herrera added 14 points, 3 assists and 2 steals. Sydne Watts posted 8 points and 8 rebounds. Newnan 56, Troup County 20: Jekeria Strickland poured in 22 in the win. Lassiter 38, Kell 35: Wambui Chege had 8 points and 8 rebounds for the Trojans in the comeback victory. Grace Karas and Taylor Smith scored 7 apiece. No. 1 Lovejoy 61, Mt. Zion-Jonesboro 46: Khalela Hages’ 20-point 16-rebound double-double wasn’t enough to carry the Bulldogs past the Wildcats who saw four players crack double figures. No. 3 Winder-Barrow 50, 5ANo. 2 Flowery Branch 48: Chellia Watson won it with a layup with seconds remaining to sneak past the Lady Falcons. Olivia Nelson-Ododa finished with 16 points, 16 rebounds and 7 blocks. Watson and Latrice Perkins chipped in 11 apiece while Jakayla Sullivan scored 12. Taniyah Worth powered Flowery Branch with 25 points, 8 rebounds and 6 steals. Caroline Wysocki pitched in 12 points. No. 4 Northview 65, Pope 45: Freshman Eden Sample scored a career-high 24 points to pace the Lady Titans in their Region 7 opener. Ashlee Austin had 17 and Maya Richards scored 11. Asjah Inniss tallied 10 points. No. 5 Sequoyah 65, Allatoona 25: The Lady Chiefs cruised behind Colby Carden’s 14 points, Emily Seres’ 12 and Macy Williams’ 9 points. No. 6 Alpharetta 64, Dunwoody 33: Sydnie Ward led the Lady Raiders with 21 points while Kendall Phillips netted 13. GoGo Maduka scored 12 and Jalyn Tillerson added 7. River Ridge 57, Etowah 33: Faith Arthur piled in 27 points followed by Savannah Samuel’s 14 to blow past the Eagles. Johns Creek 58, Walton 48: Markiema Lancaster led the Gladiators with 15 points followed by Carson Tanguilig (11) and Markeilla Lancaster (10). New Manchester 67, Mays 45: Makaila Cange dropped 20 points while Jalisya Glover added 18. Kyndall Golden scored 12. No. 1 Buford 70, Morgan County 23: Tory Ozment and Audrey Weiner scored 13 apiece to pace the Lady Wolves. Kya Styles chipped in 12 while Tate Walters added 11. No. 3 Eagle’s Landing 50, Union Grove 27: Jasmine Atkins led the balanced Eagles with 8 points. Ashley Foster and Jalisa Dunlap added 7 apiece. No. 6 Villa Rica 52, Chapel Hill 16: Deasia Merrill paced the Wildcats with 16 points and 9 rebounds. Aliyah Hindsman collected 11 points and 2 steals. Miller Grove 50, Chamblee 40: Keshuna Patterson poured in 13 of her game-high 26 points over the final 3:38 to lead the Lady Wolverines past Chamblee. Starr’s Mill 48, Heard County 41: Alice Anne Hudson led the way with 21 points. Alyssa Angelo added 10 and Ashton Lally scored 7. Woodland-Stockbridge 60, Jones County 17: Emprest Muhammad and Amia Brown scored 11 apiece for the Wolfpack. No. 3 Henry County 59, 5ANo. 10 Fayette County 50: Brooke Moore and Janaya Wadsworth netted 15 apiece to lead the Warhawks over the Tigers. Janiya Jones added 13 points and Lauryn Bailey scored 9. Maegan Barkley led Fayette County with 13 points. Naomi Franco scored 9 and Gylissa Knowles pitched in 8 points. No. 5 Jefferson 66, Habersham Central 33: McKenzie Tyner scored 13 points. Allianne Clark added 12 points off the bench. Jazmin Allen chipped in 10 points. Akera Benton and Livi Blackstock scored 7 and 6 points, respectively. No. 6 Northwest Whitfield 72, Ringgold 35: The Lady Bruins rolled traditional North Georgia power Ringgold in impressive fashion. Jada Griffin was too much inside with 22 points and 7 rebounds. Rylee Maret had 12 points and Tionna Baker produced 9 points and 4 steals. Holly Heath grabbed 4 steals and MaLane Kyer dished out 12 assists. Cartersville 38, Pepperell 29: A’mya Davis netted a game-high 9 points and dished out 4 assists for the Lady Hurricanes. Cio Siegler had 7 points and 9 rebounds. Addie Smith scored 9 points and London Shaw collected 6 points and 7 rebounds. Kalli Scheff snagged a game-best 11 rebounds. Pickens 61, Lafayette 25: Torie Williams had 17 points and 4 assists in the win for the Dragonettes. Mykenzie Weaver added 13 points and 4 rebounds. Mackenzie Hampton tallied 10 points, 8 rebounds, 3 steals and 2 blocks while Allie Stephens netted 7 points. No. 1 Greater Atlanta Christian 61, No. 3 McEachern 50: MaryMartha Turner scored 17 points followed by Caria Reynolds’ 16, Taylor Sutton’s 13 and Kennedi Williams’ 13. No. 4 Franklin County 62, Stephens County 20: The Lady Indians received 8 points from Tykia Thompson and 6 from Anaiah Wilson in the loss. No. 5 Lovett 45, Cedar Grove 43: Stanford-signee Jenna Brown led the Lions to a crucial early season Region 5 win with 22 points. Sydney Johnson added 14. Sonoraville 44, Armuchee 36: Maliyah Parks led Sonoraville with 16 points. Alexa Geary added 8. Livia Skinner paced Armuchee with 18 points followed by Brandy Ann Wacker’s 8. East Jackson 26, Athens Christian 25: Kenzie Whitehead paced the Eagles with 12 points while Maidson Pickerel scored 12 for Athens Christian. Islands 47, Savannah 39: Elizabeth Sierzant torched the Blue Jackets with 30 points to steer the Sharks. No. 2 Rabun County 48, Union County 45: The Lady Cats held on at home behind Georgia Stockton’s 14 points, 5 rebounds and 6 steals. Laken Stiles double-doubled with 13 points and 10 rebounds. Jaden Quilliams had 8 points. Bailey Daniel scored a game-high 16 for the Panthers followed by Brooke Dockery’s 8. No. 8 Dodge County 62, A-PublicNo. 2 Telfair County 57: Europe Brown paced Dodge County with 21 points followed by Nessia Mitchell and Destanee Wright’s 19 apiece. Elbert County 47, A-PrivateNo. 8 Prince Avenue Christian 44: Maggie Campbell scored 19 and Niya Shumaker tossed in 13 in the upset. Hapeville Charter 39, South Atlanta 36: Ja’dah Thomas led all scorers with a game-high 15. Cherry Reeves scored 13 and Ashley Eberhart added on 6. Bryan County 46, Claxton 17: Olonna Rawls collected 18 points, 9 rebounds and 4 steals in the win. Alicia Fabin had 8 points and 4 rebounds. Shelby Gunn added 7 points and 6 rebounds. No. 2 Wesleyan 81, No. 5 Landmark Christian 41: The Lady Wolves overwhelmed Landmark Christian. Freshman Paige Lyons finished with 18 points and 8 rebounds. Sutton West had 16 points and 10 rebounds. Amaya Register collected 13 points and AC Carter added 12. Athens Academy 60, Jackson County 38: Gabby Mastandrea dropped in 21 points followed by Greer Moseley’s 12. Reagan Hatch added 9 points and 6 rebounds. Class AAAAAAA No. 1 Westlake has been impressive. They stifled No. 9 Brookwood at the Parkview Tip-Off Classic 64-48 behind Texas Tech-signee Taylor Hosendove’s 18 points, 5 rebound, 5 assists and 2 steals. The Lions went on to beat Ramsay, AL 63-58 for good measure at the Henry County Girl’s Night Out. No. 3 McEachern hasn’t played their best basketball this year. Indiana-signee Chanel Wilson was unavailable for the Lady Indians in their 61-56 come from behind victory over newly ranked Class 6A No. 10 Stephenson. Victoria Agyin came up big with 15 points while Georgia Tech-signee scored all 11 of her points in the second half. Against the nation’s No. 1 ranked team, Riverdale, TN, McEachern was blown out 82-38. No. 2 Collins Hill moves ahead of the Indians after crushing Hillgrove 86-37 and beating No. 7 Cherokee 69-53 before falling to Class A-Private No. 1 Holy Innocents’ at Holiday Hoopsgiving, 64-57. The Lady Warriors of Cherokee defeated No. 8 North Forsyth 57-46. The Lady Raiders rebounded with a 56-46 win over Class 3A No. 6 Johnson-Savannah. No. 1 Lovejoy takes over the top spot in Class AAAAAA after No. 4 Northview wilted against Class A-Private No. 2 Wesleyan, 78-59 after opening up down 15-0. Ashlee Austin had a career-day with 31 points and 13 rebounds in the loss. Before the Wesleyan defeat, the Lady Titans scored a 49-43 win over Class 5A No. 3 Eagle’s Landing at the Johns Creek Gladiator Showcase. Lovejoy has been firing on all cylinders behind 2020 guards Anaya Boyd and Genesis Bryant. They helped the Wildcats to a 79-69 win over Ramsay, AL. Bryant led the way with 26 points while Boyd added 25. No. 3 Winder-Barrow slides down a spot instead of rising to No. 1. The Lady Doggs have not imposed their will on opponents yet. They slipped by Mill Creek 52-48 and rallied to knock off Class 4A No. 6 Jefferson in overtime 63-55 to win the Tabo’s Tip-Off Classic Championship. UConn-signee Olivia Nelson-Ododa dumped in 22 points while College of Charleston-signee Latrice Perkins chipped in 18. No. 2 Harrison rises two spots after beating Class 7A No. 6 Newton 48-40 and Class 5A No. 7 Southwest DeKalb 60-54 at the Parkview Tip-Off Classic. Douglas County (1-3), Creekview (1-2) and defending state-champion Mays (0-1) all drop out of the Top 10. The Lady Tigers lost to Lowndes 58-53, Class 7A No. 4 Norcross 69-39 and Woodland-Stockbridge 54-50. The Grizzlies lost to a pair of Tennessee schools in McMinn Central (48-43) and William Blount (54-47). The Lady Raiders were drilled by Brittany Davis and her Class A-Public No. 4 Greenville Patriots, 72-54. No. 6 Alpharetta benefits from the chaos and jumps four spots after beating Pebblebrook 68-43 to win the Roswell Rotary Air Invitational Championship. No. 8 Lanier, No. 9 Valdosta and No. 10 Stephenson all debut. Lanier has a 68-52 win over Class 3A No. 8 Dawson County under their belt while Valdosta has beaten Dacula 56-54 and lost in close fashion at the Craig Sager Memorial Tournament to Class A-Private No. 1 Holy Innocents’ 58-55 and Grayson 65-58. Stephenson has lost to McEachern twice and to Brookwood 70-44. They have beaten Woodland-Stockbridge 64-38. Right now, Class AAAAA No. 1 Buford might be the best team in the state. They drilled Grayson 64-33 before winning the Craig Sager Memorial with a 57-45 win over Holy Innocents’. No. 5 Bainbridge moves up two spots with wins over Tift County 72-61 and at Lowndes 53-47. No. 7 Southwest DeKalb has played a difficult schedule and still is looking for its first win. Dutchtown (2-1) falls out of the poll following a tough loss to Class 3A No. 5 Lovett, 58-52. No. 10 Fayette County takes over with a 4-0 mark. The Lady Tigers defeated Pope 61-43 last week. No. 2 Spalding and No. 4 Luella are quietly handling their business in Class AAAA. The Jaguars took out Eagle’s Landing at their Jag Challenge 45-37 while the Lions beat Jonesboro 75-65. No. 5 Jefferson ran out of gas against Winder-Barrow, losing in overtime 63-55. Jazmin Allen poured in 17 points to lead the way. No. 6 Northwest Whitfield beat Rome 62-56 but lost to East Hamilton, TN 47-31. LaGrange (0-2) exits the Top 10 following a winless start. 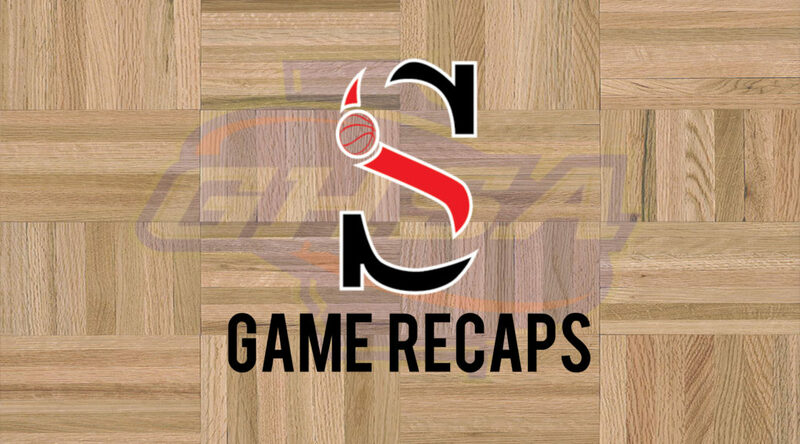 The Grangers fell to Newnan 62-47 and to Morgan County 51-43. No. 10 Burke County makes an appearance in the rankings. Led by high scoring guard Quin’DeJa Hamilton and Cross Creek-transfer, shot blocker Kianni Westbrook, the Lady Bears have taken down Statesboro 61-33 and Calvary Day 50-37. If there was any doubt as to whether No. 1 Greater Atlanta Christian deserved to jump No. 2 Beach for the top spot in Class AAA, doubt no more. The Spartans poured it on with their 81-37 win over Class 5A No. 7 Southwest DeKalb while Beach narrowly defeated Bradwell Institute 50-48. GAC is playing as good of basketball as anyone in the state and they get to test their mettle on Tuesday as they host four-time defending state champion McEachern. No. 5 Lovett is on the move, leaping five spots after knocking off Dutchtown 58-52. Stanford-signee Jenna Brown is back to her five-star form. No. 6 Johnson-Savannah falls two spots after losing to Camden County 46-41 and to Class 7A No. 8 North Forsyth 56-46. The Atomsmashers finished 27-3 last season with all their losses coming to Beach including in the state title game; they open 2017-18 at 0-2. Monroe (1-1) falls from the rankings after a 51-28 loss to Americus-Sumter. 2017 quarterfinalist No. 10 Tattnall County makes their debut. The Warriors are coming off a 60-41 win over Richmond Hill. There is no movement in Class AA. No. 2 Rabun County scored a 62-52 win over Class A-Private No. 10 Lakeview Academy at the Piedmont College Hardwood Classic. No. 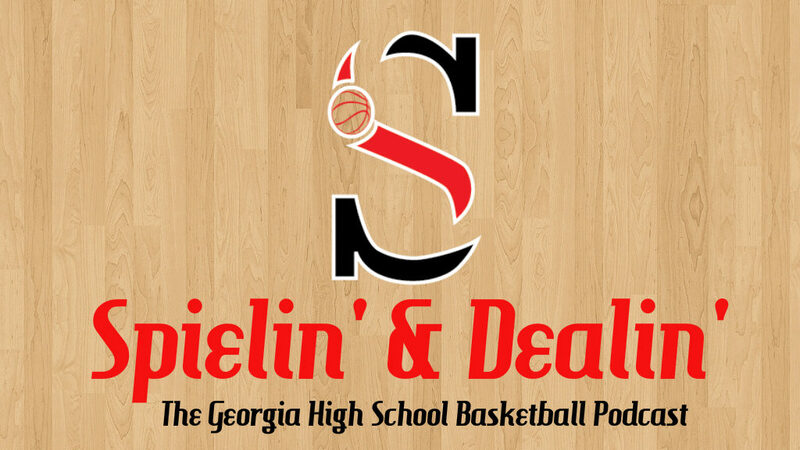 6 Banks County, Rabun’s Region 8 rival, earned a quality 79-63 win against Class 3A No. 9 Hart County. No. 3 Model lost 41-38 to Page, TN and No. 9 Berrien fell to Lowndes 64-58, but both maintain their respective spots in the rankings. Class A-Private saw its top dogs knock heads with elite competition. No. 1 Holy Innocents’ lost to Class 5A No. 1 Buford 57-45, but their wins over Class 6A No. 9 Valdosta (58-55), Class 7A No. 2 Collins Hill (64-57) and No. 3 St. Francis (60-48) are enough for the Golden Bears to hold tight over No. 2 Wesleyan who blitzed former Class 6A No. 1 Northview 78-59, while also adding a 62-49 win over Lambert. The only change in Class A-Private is No. 10 Lakeview Academy moving down one spot. The Lions have challenged themselves this year, losing to Class 2A No. 2 Rabun County and Class 7A No. 4 Norcross, 67-31. Class A-Public’s No. 4 Greenville has shot up four spots. The one-man show of reigning Class A-Public Player of the Year and Mississippi State-signee Brittany Davis has already beaten defending Class 6A state champ Mays (72-54) and Bowdon (78-55), Davis collecting her sixth career 50-point game along the way against the Red Devils. No. 10 Woodville-Tompkins is down six slots following an 0-2 start. The Wolverines lost to Bradwell Institute 57-40 and East Hall 69-51, both quality opponents. The loss of Jazmin Grayson hurts Woodville-Tompkins. The Preseason All-State Second Team pick has transferred out of state. The Wolverines have a major test Tuesday as they host No. 5 Treutlen. Class AAAAAAA sees some shakeup this week. No. 1 McEachern was pushed to the brink by GISA’s Holy Spirit Prep before rallying behind Sharife Cooper’s 14 points in overtime and 27 on the night to win 69-60 at Under Armour’s Hard in the Paint. No. 3 Wheeler fell to Holy Spirit Prep earlier in the week 74-62, but picked up wins over Class 5A No. 3 Cedar Shoals 76-58 and Class 5A No. 2 Buford 78-65. EJ Montgomery averaged 34 points and 14 rebounds against the two Class 5A powers while dropping in 28 points against Holy Spirit Prep. Just like last year, Coach Rick Rasmussen’s No. 4 Newton Rams are off to a blistering start. Ashton Hagans toyed with opponents in their Holiday Hoopsgiving sweep of Class 5A No. 8 Columbia (94-64) and Pebblebrook (87-78), who falls out of the Top 10 along with Shiloh (2-3). Replacing the Falcons (2-1) and Generals are No. 7 Meadowcreek and No. 10 Discovery. The Mustangs drilled Trinity Christian, NC at Hoopsgiving 78-43 before knocking off Class 6A No. 1 Gainesville 62-61. Discovery beat Class 6A No. 2 Dacula 78-75 in overtime at the Craig Sager Memorial Tournament. Aside from Pebblebrook and Shiloh, Class AAAAAAA’s biggest dropper was No. 6 Grayson, who slides three spots after a nail-biting 67-64 loss to new Class 5A No. 1 Warner Robins. Charleston Southern-signee Travis Anderson scored 18 points and Nick Edwards added 14, but the Rams had no answer for Georgia State’s Nelson Phillips. The top of Class AAAAAA has struggled against premier competition, but the Top 3 remain unchanged due to the caliber of teams they have played. No. 1 Gainesville is now 0-3 and may open up the season with an ugly mark after the first nine games, but the Red Elephants will still be a force come state playoff time. No. 2 Dacula hasn’t quite seen the national flavor that Gainesville has, but the Falcons have battled some of the state’s best, losing in overtime on two buzzer beaters at the Craig Sager Memorial, 67-65 to Class 3A No. 1 Morgan County and 78-75 to Class 7A No. 10 Discovery. No. 3 Langston Hughes fell to Mountain Brook, AL 59-45, who beat Class 7A No. 2 Norcross 79-62 the day before at Holiday Hoopsgiving. No. 6 Tri-Cities climbs back over No. 7 Douglas County after going 2-0 in Florida, beating Andrew Jackson 67-56 and Providence School 50-47. The Tigers lost a close one to Pebblebrook 79-76. Alpharetta (1-2) tumbles out of the Top 10 following a disappointing start. The Raiders lost to newly ranked Class 3A No. 10 Westminster 62-58. Replacing Alpharetta is defending State Runner-Up No. 10 Brunswick. The Pirates will be tested this Tuesday as they host No. 4 Coffee. There is a new leader in the clubhouse in Class AAAAA. No. 1 Warner Robins takes over for No. 2 Buford. The Demons beat Grayson 67-64 behind Nelson Phillips’ 14-point fourth quarter, a part of his 27-point, 8-rebounds, 4-assist, 2-block masterpiece. Jacolbey Owens drilled three threes and finished with 17 points. Buford must get healthy. Lipscomb-signee Alex Jones has yet to play, hurting the Wolves’ machine of an offense. After beating Discovery 65-50, Buford fell to Morgan County 57-54 and Wheeler 78-65. Without Jones, Donell Nixon has been forced to take over the primary ball-handling duties. Nixon is a lethal three-point shooter, but instead of sneaking around the perimeter to find his shots off Jones’ assists, Nixon has to make sure everyone gets involved before releasing his three-point barrage. Marcus Watson and Georgia Southern-signee David Viti have been playing at a high clip, but they need the No. 1 2018 point guard in Georgia back on the floor. No. 8 Columbia plummets three spots after laying an egg on the big stage, getting whipped by Newton 94-64. No. 4 Southwest DeKalb rises three spots behind a perfect record at the Memphis Showcase. Starr’s Mill (2-1) takes a quick exit from the poll after losing to undefeated Hoover, AL 52-43. Expect the Panthers to be back in the mix very soon. No. 10 Maynard Jackson gets the nod. Marquavius Carter is averaging 24 points per game while TJ Boykin is putting up 13.8 points and 5.8 rebounds a night. 6-foot-5 sophomore Timipa Ogun has blossomed into a post presence, posting 11 points, 13.3 rebounds and 3 blocks per game for the Jaguars. The gap between No. 1 Upson-Lee and No. 2 St. Pius may be shrinking. While the Knights have been crushing lesser competition, the Golden Lions have instead decided to test themselves with their early non-region schedule. St. Pius blitzed defending Class A-Private state champion Greenforest 73-52 and have been clicking on all cylinders. Unless someone can step up from the field, don’t be surprised to see the Knights and the Golden Lions on a crash course for a rematch of last year’s thrilling state championship. A team that could throw a monkey wrench into that plan? No. 6 Mary Persons. Cam Holden unleashed a 43-point 17-rebound double-double to open his senior season with a win over Houston County, 82-74. Richmond Academy (3-1) drops from the poll after an 84-67 loss to Lakeside-Evans. No. 10 Americus-Sumter debuts after wins over Lee County (44-42), Class 3A No. 9 Dougherty (59-57) and Monroe (60-41). No. 1 Morgan County is racking up the quality wins in Class AAA. Dacula, Buford and Westlake (67-61) have all ran into the buzz-saw from Madison. Tyrin Lawrence and Alec Woodard have brought their game to the next level while Stevin Greene and Anthony Cooper continue to make winning plays. Spots No. 3 through No. 6 all suffered losses. No. 3 GAC fell to Peachtree Ridge in the Tabo’s Tip-Off Classic Championship, 68-61. No. 4 Cedar Grove sinks to 0-2 after losing to Milton 66-60. No. 5 Westside-Macon was overmatched against possibly the nation’s best team, Montverde Academy, FL, 103-55 while No. 6 Jenkins couldn’t close out Hoover, AL, 59-58. Long County (1-2) is out of the Top 10 after a tough 74-71 overtime loss to Class 2A No. 7 Jeff Davis. The Blue Tide is replaced by No. 10 Westminster. The Wildcats defeated Pope 67-54 and Alpharetta 62-58 at the Roswell Rotary Honor Air Invitational. Swainsboro was handled by Effingham County 65-57 to open the season, dropping the Tigers from No. 1 to No. 6 in Class AA. No. 1 Glenn Hills takes over the top spot with a win over Greenbrier 64-57. No. 2 Banks County is the most consistent and most reliable team week in and week out. They thrashed Hart County 94-58 and overwhelmed East Hall 82-72 behind Carl Cleveland’s seven three-pointers en route to 29 points. Dylan Orr added 22 points, 16 rebounds, 4 steals and 4 blocks while Gabe Martin pitched in 13 points and Darius Bonds tallied 9 points and 7 assists. The Leopards’ inside-outside game is the most balanced in the state. Don’t sleep on defending State Champion No. 5 South Atlanta, though. The Hornets stung Westlake 74-70, Jalen Stegall dropping in 30 points with Dre Barnes adding 26. New look No. 3 Dublin got by West Laurens 66-55. Clarence Jackson scored 18 in his debut with the Irish while Kameron Pauldo netted 18 of his own. Laney (3-1) and Monticello (1-1) depart from the rankings. Laney was upset by Greenbrier 71-67 and the Hurricanes were trounced by Jones County, 82-64. Into the Top 10 is No. 9 Therrell and No. 10 Northeast-Macon. Therrell turned heads at the Craig Sager Memorial, barely losing to Morgan County 84-78. The Panthers already have wins over Salem (47-34) and Mays (62-60). They fell to a good Class 4A No. 7 Carver-Columbus team 69-55. Sophomore combo guard Deandre Brown has been a revelation, pouring in over 25 points per game. The Raiders of Northeast-Macon may be coming of age. Ty’ree Gilbert, Cameron Cherry and Darius Dunn are combining to score over 40 points per game in Coach Kevin Grooms’ backcourt. The Raiders picked up a big 65-62 win over a blossoming East Coweta program. The Class A-Private is getting a little clearer. The most evident take away from Holiday Hoopsgiving? Greenforest (2-2) is no longer Greenforest. The dynasty is over as the Eagles were throttled by St. Pius after opening the game down 20-0. Greenforest can not handle a full court press and for that reason, the Eagles sink from No. 3 in the state to unranked. They have a lot to prove after their poor showings against Grayson and the Golden Lions. Their win over a short-handed Sacred Heart, AL team 81-65 is not enough to save Greenforest from their early fall from grace. No. 1 St. Francis hangs onto their top spot after a tough loss to Carmel Christian, NC 71-67. No. 2 Aquinas swaps with No. 3 Eagle’s Landing Christian following their 65-40 victory. The Fighting Irish went 23-of-29 from the foul line while Malachi Rhodes and company attempted just three free throws. With Greenforest falling out of the Top 10, winless No. 10 Holy Innocents’ rejoins the picture. With the bottom of Class A-Private still so unsettled with who is for real and who is a pretender, the Golden Bears’ “moral victories” are enough to crack the poll while other schools haven’t seen the same level of competition. They pushed ELCA to the limit before bowing out 68-63. Freshman swingman Garrison Powell impressed enough to pick up an offer from Middle Tennessee State at Holiday Hoopsgiving. Matt Meadows, Josh Smith and Alex Hyatt form a nice mix of veteran leadership and youth that should begin to rack up the wins in region play. No. 1 Calhoun County is on a mission to win Class A-Public after falling short in the title game a year ago. The Cougars cracked No. 6 Wilcox County 66-39. No. 2 Central-Talbotton rises up a spot over idle No. 3 Macon County following their 78-74 win over Harris County. Coach Lenny Williams’ No. 9 Woodville-Tompkins Wolverines are playing well and will have a great test when they visit Region 3 frontrunner No. 4 Treutlen on Tuesday. The Wolverines nearly upset Class 6A No. 5 Bradwell Institute at the Joe Greene Classic before running out of gas 62-56. Junior Preston Crisp is averaging 15.5 points per game while sophomore Bernard Pelote is tossing in 14.5.